The road to business success starts with finding a better finance deal. Get your business started, invest in equipment, or realise your goals to expand or upgrade with flexible finance solutions designed specifically for your needs. When it comes to securing the right equipment finance for your business, getting the right deal, with the right terms, fast, makes all the difference to your bottom line. Our Equipment Finance Specialists are industry-recognised professionals with extensive experience in sourcing funds for new and existing projects for clients from a range of diverse businesses and industries. In addition to finding you a great deal on your business or personal car finance we also have access to experienced, independent Motor Vehicle Consultants who can help you get a better deal on your next car or cars. These car buying experts will do all the research and running around for you, finding you the right car/s – new or used, negotiating the best price and even organising delivery. 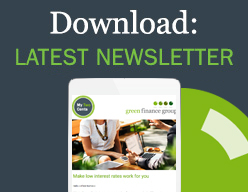 At Green Finance Group our Equipment Finance Specialists can help you determine the most cost effective finance or leasing option for you or your business. Whether you need one car or one hundred cars, are a sole trader, company or partnership, our Equipment Finance Specialists can help you find business car finance to match your business structure, cashflow needs and tax considerations. Keeping your patrons entertained with the latest in gaming trends, without impacting your cash flow, is much easier when you have access to smart poker machine finance solutions. Whether you want to purchase or upgrade one poker machine or undertake a complete gaming lounge expansion, we can help.